Do you consider yourself a genius? Tricky question, right? If you answer, 'yes,' you could be selling yourself short. Most people measure genius by those who appear in the history books or, worse yet, those who score highest on standardized tests. But the truth is, we are all geniuses in our own right, at least that's what Gina Rudan is determined to prove in her new book, "Practical Genius." By redefining "genius," Gina's mission is to spark a genius movement where people are playing within their genius zones. Gina Rudan is our distinguished guest for the Oct. 13 Reach Personal Branding Interview at noon EST. Gina will discuss her new book, "Practical Genius, in an interactive, one-hour conversation with William Arruda, founder of Reach Personal Branding. What "Practical Genius" means, and how to determine whether or not you have it. The benefits of merging your personal and professional selves. How to determine the forces that "de-genius" you. The five steps to achieving Practical Genius. How to fuel and sustain your genius. The science behind Practical Genius. How to nurture genius in your company or organization. Why it's important to have Yodas, Ambassadors, and Fat Brains in your life. How to tune into your "genius frequency"
Gina Rudan is the founder and president of Genuine Insights Inc., a professional development and training practice whose mission is to leverage the genius within every individual and organization. 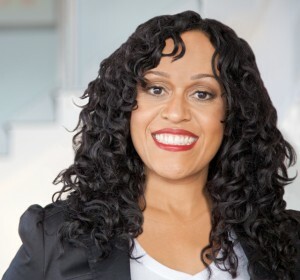 She has been a guest lecturer, trainer, and strategist for organizations including Fannie Mae, Booz Allen Hamilton, the BET Network, the Interpublic Group, the U.S. Department of Agriculture, and the Stern School of Business at NYU.